Make certain your clients receive your message with our direct mail marketing and data services. 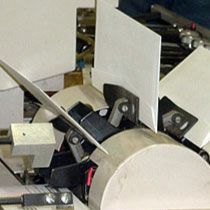 ARP Marketing is a full-service mailing facility in Calgary specializing in direct mail marketing and other mailing and distribution projects. Whether you are a seasoned direct mail advertising specialist or just looking for information and advice on how to get started, our friendly and knowledgeable team is here to help you with the same care and attention all customers are entitled to. "We have been using ARP for our direct marketing campaigns for many years, and have been very pleased with their professional and efficient service. We have always been treated with a great deal of respect and courtesy, and would highly recommend their services." We’ve worked with ARP for many years because they provide excellent, reliable service with integrity. We’re 450 miles away in the US, so we count on ARP’s staff to look out for our errors and prevent issues from arising. They always have our best interests at heart and they always deliver. I can’t thank you enough for all the help and knowledge you have provided at every single step of the way. Thanks to you, we had our newsletter printed and mailed as planned in spite of the reduced timeline. Thank you for your above and beyond help. 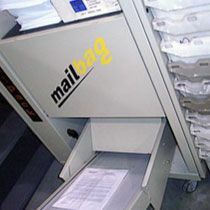 For ultimate reach, we offer a variety of services to ensure your mail product is to your exact specifications. Build new clients or clean up your target data list with our list creation and maintenance services. Trust our team of experienced and attentive staff with any of your direct mailing needs. 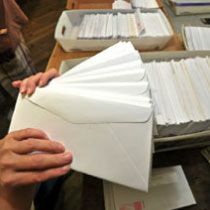 MAILING OF LETTERS, PUBLICATIONS, BUSINESS POST, ETC. 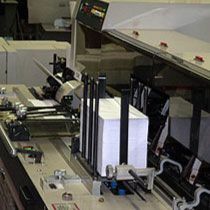 At ARP we are confident we can accommodate all your direct mail marketing and mass mailing needs with quality, accuracy, speed and at a price you will be happy with. Contact us today!